For those who, like yours truly, have been deeply invested in Julia Louis-Dreyfus’ battle against breast cancer these last few months, you’ll be pleased to know we now have an inside scoop on her health and the timeline for her return to the Veep set to film its final season. 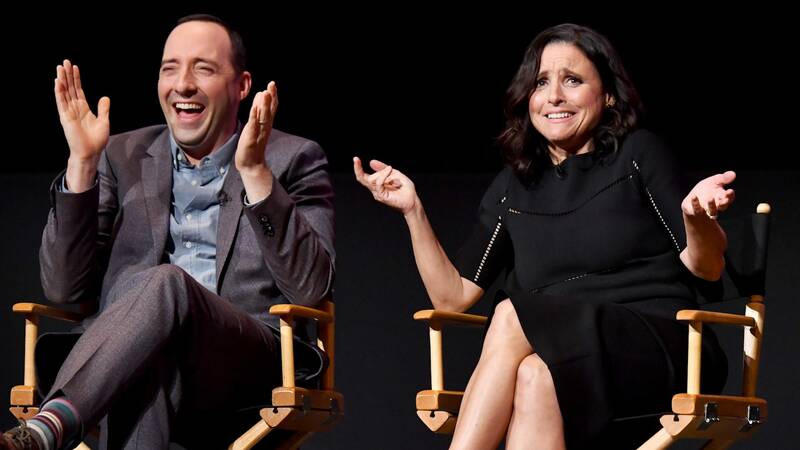 According to her costar and longtime friend, actor Tony Hale, it sounds like Louis-Dreyfus’ treatments are going well, and she’s right on track to return to work in the summer. Yes! Of course, when he was asked if he knew what the writers on Veep were planning to deliver to the cast for the final season, Hale couldn’t tease it. Not because he was sworn to secrecy, but because he didn’t know — and that’s what he loves about the whole process. “I’m always surprised by what these writers come up with,” he told ET. Hale has been nothing but supportive of Louis-Dreyfus during her breast cancer battle. In the initial months of her battle, Hale was one of the first of her costars to release a supportive message, set to the tune of Katy Perry’s “Roar,” for her. The pair has been working together on Veep for the better part of seven years, filming multiple acclaimed and highly awarded seasons of HBO’s best comedy. It will be so exciting to see what their chemistry is like once they get back into the swing of things. It sounds like all is going according to plan, because not only does Hale’s latest scoop confirm Louis-Dreyfus has the upper hand on her breast cancer diagnosis, but he seems to be echoing what she herself said in February. On Valentine’s Day, she stated she was “ready to rock” while recovering from another round of surgery. Clearly, it sounds like her fighting spirit is intact, and Hale’s news only confirms it.